In this guide we learn what to do when you can’t afford or access every fruit and vegetable as organic. We learn what the biggest risk foods are, and those that are the safest to eat non-organic. We also learn what the dangers of pesticides on our foods are so we can make an informed decision as to our best next step. But sadly, we still have a food system that’s driven by profit, not health and frankly, it’s getting worse. And it’s likely only going to continue to get worse. The volume of pesticides use in the USA grew from 420 million pounds in 2007 to 564 million in 2012, and it continues to rise. Every year the Environmental Working Group (EWG.org) publish their report on pesticide use in our fruits and vegetables, showing us the foods that – once bought, washed and peeled – still show signs of pesticide residue. The continued (over)use of glyphosate, atrazine, metolachlor-S, dichloropropene, 2,4-D and the banned Dacthal (DCPA) (yep – it’s banned but still found on 60% of kale tested) has meant the EWG found more pesticide residue on our fruits and vegetables than ever before. The report gives us two lists: The Clean Fifteen (those that are safest to buy non-organic); and the Dirty Dozen (those with the highest vol. of pesticides still on the food once it’s prepared, washed and ready to eat at home). Of course, while it would be best to buy everything organic…I know this is cost prohibitive to most (and not accessible to most either, locally) – so this guide is an awesome way to learn where to focus your spend and effort. These are the foods that you can buy non-organic. They found the least amount of pesticide contamination on these foods. These “Clean Fifteen” foods had almost zero traces of pesticides. Avocado and sweetcorn ranked #1 with less than 1% of samples showing traces of pesticides (although it should be noted that a lot of sweetcorn in the USA is GMO). But Please Don’t Stress Out Over This! While some of the information I am about to share below might be a little scary – it’s intended to motivate you to do what you can – you shouldn’t stress. The most important thing is exactly that: you do what you can and don’t worry about the things you can’t. It is better to consume non-organic vegetables than to consume no vegetables at all. I know cost, accessibility mean that you can’t always get organic all of the time. So do what you can and let the below info serve as your motivator to do the best you can, when you can! The Dangers of Pesticides: Use This To Motivate! Pesticides have been proven beyond all doubt to seriously impact human health. They are recorded as known endocrine disruptors (particularly stressful to the thyroid and adrenals), are strongly linked to infertility (in both men and women), neurotoxic (especially to children), immune-damaging and cause huge levels of oxidative stress (damaging DNA, destroying cells, causing early-ageing) and so much more. According to a Harvard study, women who ate 2 or more serves of produce with high pesticide residues (see the Dirty Dozen) had a 26% lower risk of having a successful pregnancy compared to those who ate cleaner produce (organic, OR stuck more so to those foods in the Clean Fifteen). Increases in global glyphosate use closely parallel increases in infertility, thyroid disorders, diabetes, liver and kidney disease, stroke and many other chronic diseases. A slightly more sceptical realistic perspective would be that there is too much money in it for our Government’s to ban these disgusting chemicals. The EWG found that the most frequently detected pesticide, found on nearly 60 percent of kale samples, was Dacthal, or DCPA – classified by the Environmental Protection Agency since 1995 as a possible human carcinogen, and prohibited for use in Europe since 2009 – yet it’s still the most commonly used product. Chlorpyrifos, which has been PROVEN to be hugely damaging to kid’s brains was recently brought BACK INTO the food chain – somehow – and now is certified to be used until at least 2022. Even though huge, respected studies such as the CHAMACOS Study have proven that organophosphates like chlorpyrifos – when consumed by pregnant women, seriously impairs the development of the unborn child. Susan Freinkel, of The Nation magazine reported on this study and stated: “Prenatal exposure to even tiny amounts of organophosphates—in the parts per trillion range—can have significant impacts on the brain, the CHAMACOS study suggests. …From infancy on, the children of the mothers with the highest levels of organophosphates were at the greatest risk for neuro-developmental problems. That association was present at every stage the researchers checked in on the kids. At 6 months, they were more likely to have poorer reflexes. At 2, they were at higher risk for pervasive developmental disorder, an autism-related condition, like Asperger’s, in which children have trouble connecting to others. But I am sure you get the picture. Wherever possible – minimise your exposure to pesticides. Focus first on getting as much as you can organic. Then focus on the foods on the Clean Fifteen. Then do the best you can with the rest. Each link will open the printer-friendly recipe card in a new window. Remember – nobody can be perfect, your body CAN detoxify and cope with a certain amount of exposure. So stay cool, keep on keeping on and doing the best you can. Where is the download for the refrigerator re the clean 15 and dirty dozen. Can’t find it on your site. Hello! 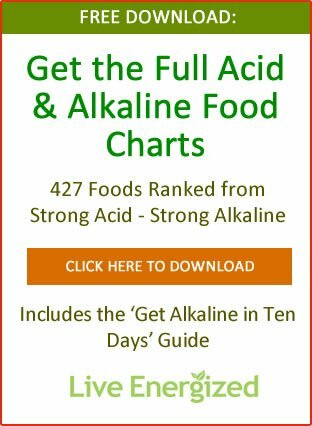 I have been doing my research on alkaline lifestyle and love this website and the abundance of information it provides. I was just wondering whether you would have any thoughts to share on the Dr. Sebi and his alkalising diet. The list of foods he provides is much more limited than the one found here so I was just wondering what you thought about his lessons? It is much more limited, yes, which isn’t a good start. It also contains loads of sugar and gluten which is not a good idea at all, and is based on zero studies or research. I commend the work he did, but his guidance is misleading. Thank you! I actually came to about the same conclusion following the information i found here and the often times contradicting info that is out there on Dr Sebi – especially when it comes to gluten. Im happy to say I am on my third week of full vegan/alkaline diet (although id rather say more of a lifestyle change) and i feel fantastic! Im not vegan and would love to incorporate some fatty fish and eggs but i do want to go a full month before I do that. How do things bear up in the UK? And will things become worse once we’re out of the EU’s control? 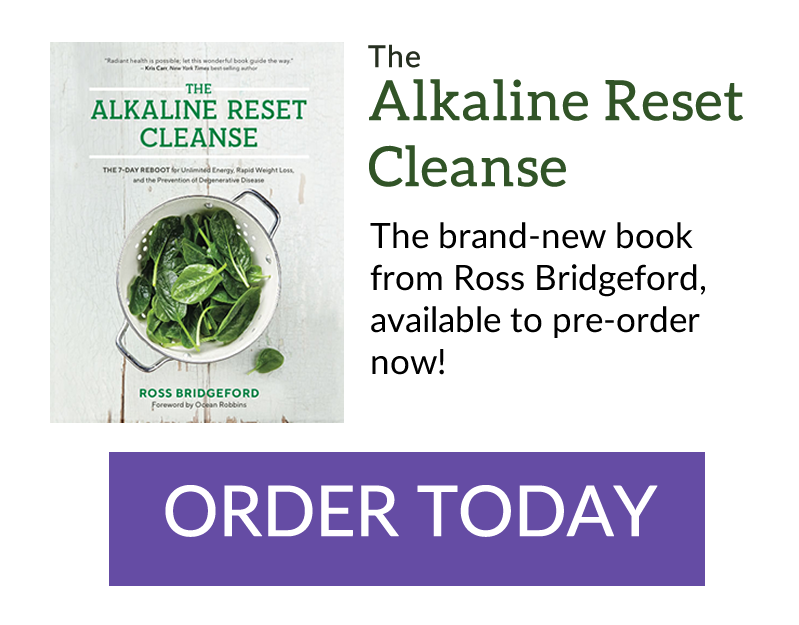 I have read your book and have applied your protocols and am now eating a vegan, low alkaline diet and also trying to avoid foods with high histamine content as I have Interstitial Cystitis (IC) which began suddenly last November. I am wondering if you have had any success with working with others who have IC? I need all the help I can get to overcome this condition. Some people have managed to heal themselves and I want to be one of them as quickly as possible. Hoping you can help? Hmmm. I wonder if things are any better in Australia than in the USA? I feel like fresh fruit and vegetables here might be less dirty than in the USA, but maybe I’m just kidding myself. But Laurie – you’re educating, being aware and looking after yourself so you’re 99.99% ahead of the curve. Sensible advice, thank you. I’m now ev n more determined to grow as many fruit and veg as I can on my allotment and will never buy strawberries again!! What do you think of Moringa as a food? It’s great, but not the panacea. « The TRUTH About Anti-Nutrients – Do We Need to Cut These ’Healthy’ Foods Right Now?